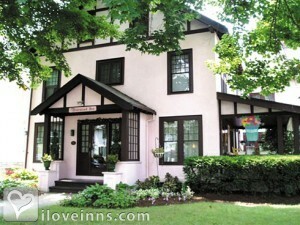 Corning bed and breakfast travel guide for romantic, historic and adventure b&b's. 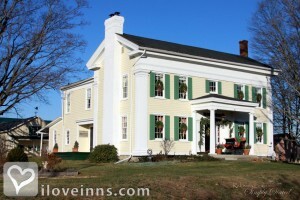 Browse through the iLoveInns.com database of Corning, New York bed and breakfasts and country inns to find detailed listings that include room rates, special deals and area activities. You can click on the 'check rates and availability' button to contact the innkeeper. Take the free trolley to the world-class Corning Museum of Glass, the Rockwell Museum of Western Art and the many wonderful shops and restaurants on Market Street. By Rufus Tanner House. Both a vibrant and historically attractive, the city of Corning in New York is one of the best destinations. With a wide array of business establishments and leisure centers, Corning attracts thousands of tourists every year. Although the city of Corning is small, it has a distinctive cosmopolitan flair. People who wish to head to the beautiful Finger Lakes Region of Central New York will find Corning interesting since it serves as the southern gateway to Central New York and provides comfortable Corning bed and breakfasts for travelers. But when you say Corning, New York, only one thing comes to mind -- glass, renowned for its exceptional glass making skill and artistry. In fact, one of the most frequented places in the city is the Corning Museum of Glass -- the perfect place for people to discover the art, history, and the science of making glass. By Rosewood Inn. Corning, New York, is just a brief twelve minutes from Halcyon Place. Home to the world-class Corning Museum of Glass, the city also boasts a historic downtown filled with beautiful shops and a wealth of restaurants. By Halcyon Place Bed & Breakfast.